Would you like to brand Interactr Local with YOUR LOGO, have all the marketing tools needed to jump start your agency, and a professional Interactive Video Funnel to bring in leads and sales almost immediately? Offer Interactr services under your own brand & keep 100% of the profits. Get the exact tools & resources we use to drive multiple 6 figure profits selling video services. We spent thousands of dollars creating a professional explainer video for you so you can market yourself better. Welcome to Interactr Local Agency! You can now stand PROUD above all the competition by having YOUR LOGO inside your very own custom branded Interactr Local Software System. It's pretty simple, yet to have massive success you need 1 thing!!! It’s all about YOUR momentum. Over the years we have learned exactly how to build momentum for our customers with video software. As a customer of ours, your results are TOO important to settle for “profits later”. So what we’d like to do is help you generate momentum, get some quick wins & put profits in your pocket right away. 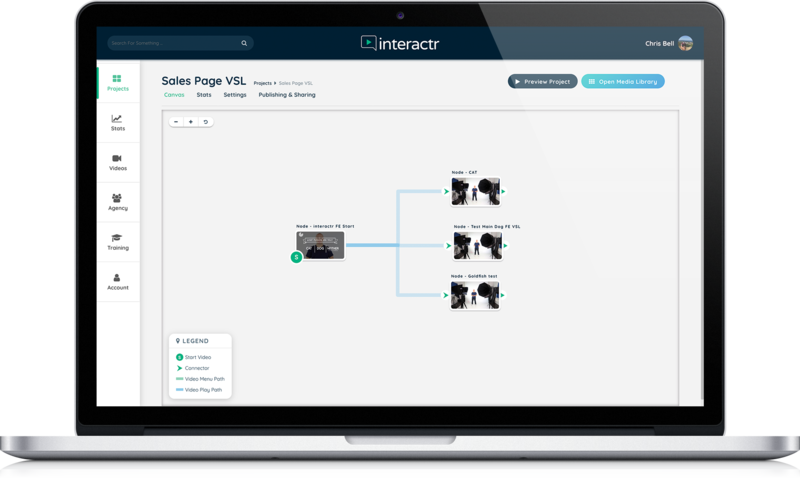 Because the sooner you actually make money with Interactr Local … The sooner you’ll see its full potential for your business. And your profits really take off from there. Want to make profits with Interactr this week? In addition to the Agency AND White Label rights, we’re including our time-tested SYSTEM, marketing tools package for selling to clients, and for the 1st time ever we have created you a animated explainer video that can generate leads and sales for you. All of this comes from YEARS of expensive trial & error, sweat, and a lot of swearing. The result? A virtually BULLETPROOF system for finding and SELLING Interactive video and heck other video services you have to clients. You get the marketing tools, the exact systems & the rights to actually profit by providing Interactr local services to your network. It’s as close to a copy-paste, turnkey business as you’ll ever find … in one of the hottest & completely untapped markets out there. Interactr Local Agency access lets you earn 100% profits while building your very own video consulting business under YOUR OWN BRAND. The key words here are “YOUR OWN BRAND”. Sure, your access already includes the ability to offer these services, but that’s just the tip of the iceberg. Every prospect you approach & every client you close will associate your services with YOU & your company. This kind of leverage quickly positions you as an industry expert and helps attract premium clients. Take branding a step further by using a custom domain. Wherever you promote yourself, people will see YOUR domain front & center … adding to your authority AND organic search results. 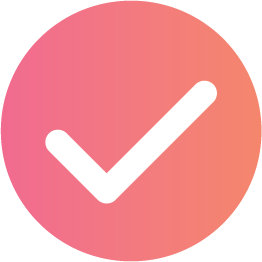 If - like us - you enjoy passive profits,you’ll love this.Add sub-users / VAs / assistants to your dashboard or even specific campaigns …So they can do the work while you focus on maximizing sales. You’ll be building a true business, a BRAND to be proud of, and become a recognized video specialist. You can charge WHATEVER you want. And keep 100% of the profits. All while building a valuable business that drives repeat sales - AND can be sold for a huge profits whenever you like. Like we said, it’s not enough for us to “hope” you get results. We want to actually see you go out and profit with Interactr Local. So we have decided to pull back the curtain and share our complete Consultant Success Kit. This represents the ENTIRE package of tools & systems we personally use to find & close video clients. The value of this alone is worth WELL OVER 10X the low cost of your Interactr Local Agency license. It’s literally a license to print money … tested and proven across dozens of niches. Leads & Sales are TOP of the list. Interactr Local represents technology so new that 99% of businesses don’t yet know it exists. But they ALL want more Leads and Sales, right? From local businesses to individual marketers … when you can deliver Leads and Sales, you can set your own price. Interactr Local Agency makes it RIDICULOUSLY easy to do it. While building Your Brand & Authority. Even letting sub-contractors do the actual work for you. We’ve been in the business of providing video services to clients for years. There’s no better or faster way to profit in this area than as an Interactr Local Agency license holder. With most businesses your investment is in the thousands or even 10's of thousands of dollars. By joining us with our extremely low investment you will have everything needed to build your agency. Less than 1% of businesses even know this technology exists, so it’s your chance to get in early and charge as MUCH as you like, while locking in clients for the long term. All by using Interactr as your own and letting the software do the work for you. And pick & choose from an unlimited pool of clients.